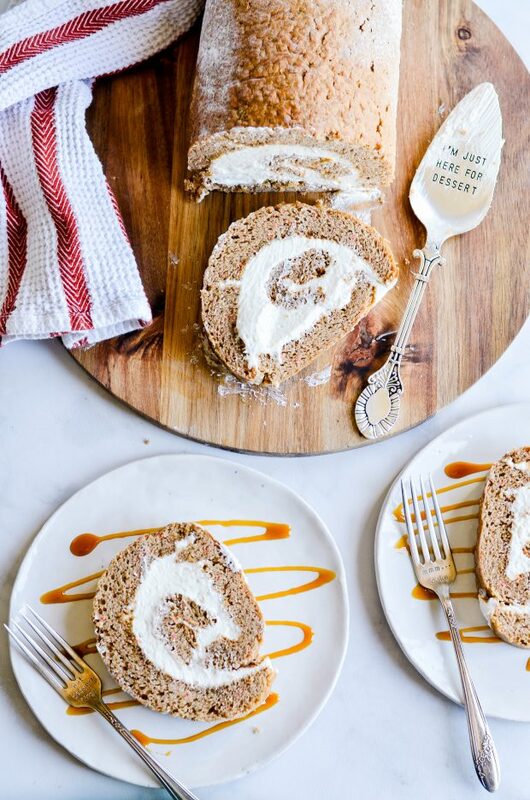 This soft carrot cake roll is soaked in caramel sauce and swirled with a fluffy whipped cream cheese frosting. 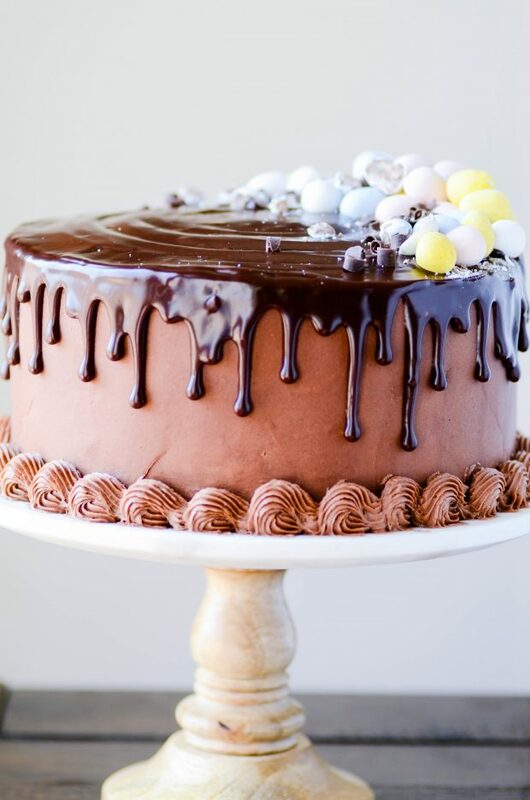 A total showstopper for your Easter table this year! I am SUPER picky when it comes to carrot cake. 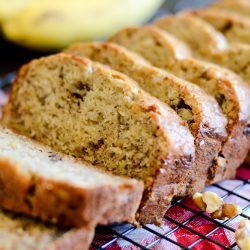 I don’t like chunks, raisins, or any other kind of dried fruit in my cake, and I don’t like too much nutmeg or cinnamon. And the only time I really, truly love it is when it’s paired with caramel and something creamy and light. Like this Carrot Cake Trifle or my Carrot Cake Poke Cake. 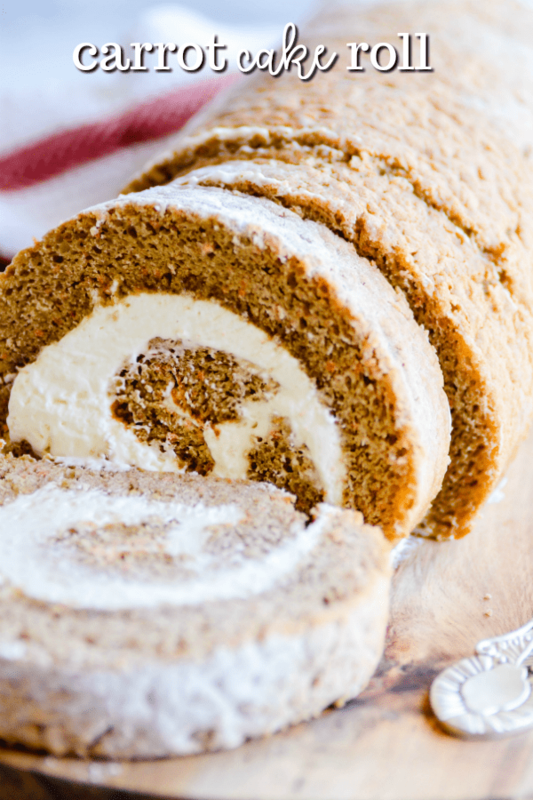 This dreamy cake roll is absolutely perfect for my picky palate. 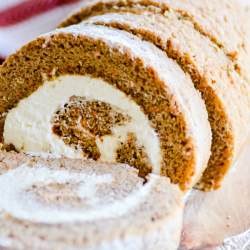 And if you think you don’t like carrot cake, give this recipe a try! You just might change your mind. 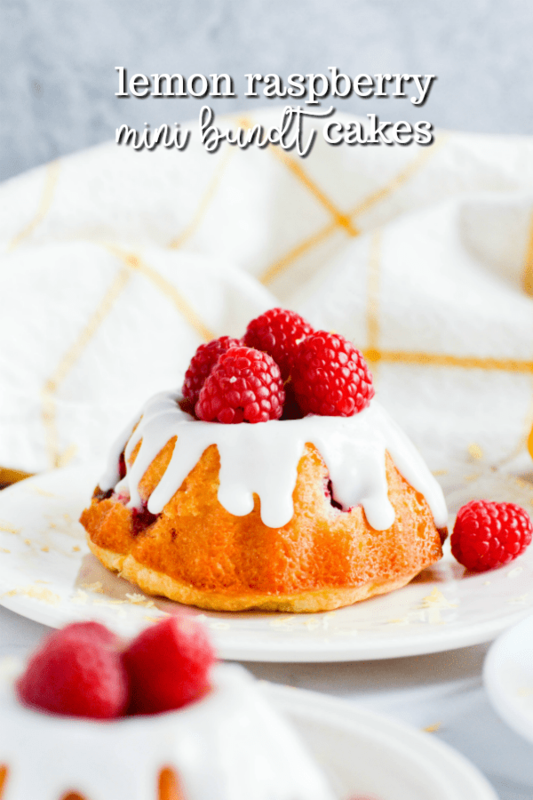 Check out my favorite carrot cake recipes here. *I really like Betty Crocker’s carrot cake mix the best. It doesn’t have any big carrot chunks or raisins. But if you’re not as weird as I am about carrot cake, feel free to use whichever brand you like best. If the cake cracks while you’re unrolling it, or it feels a little “floppy” once you’ve got it filled and rolled back up– DON’T WORRY. The cracks aren’t a big deal once everything is all rolled up and chilled. And once the cake roll has spent some time in the fridge, it will be firm enough to cut and serve. The caramel sauce will soak into the cake, and it won’t be visible. But don’t worry, you’ll taste it! Whisk together the eggs, carrot cake mix, water, and oil. 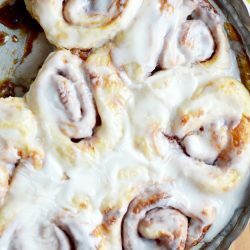 Line a 17x11 jelly roll pan with parchment paper and lightly spray with cooking spray. Spread the batter in the pan and bake for 15-16 minutes. Lay out a kitchen towel and lightly dust it with flour. Upon removing the cake from the oven, immediately invert it onto the towel and peel off the parchment paper. Start at the short end and gently roll up the towel and the cake together. Place on the counter to cool at room temperature, seam side down. 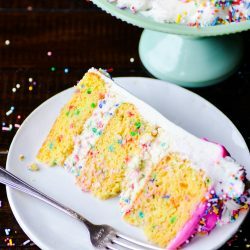 If necessary, place something alongside the cake to prevent it from unrolling. In the bowl of a stand mixer, whisk together the cream cheese and the powdered sugar until smooth. Scrape down the sides of the bowl as needed. Add the whipping cream and whisk on medium-high until stiff peaks form. Gently unroll the cooled cake. Squeeze the caramel sauce over the cake (as desired) and spread with frosting. Roll back up and wrap tightly in plastic wrap. Chill for 3-4 hours before cutting and serving. Looking for an Easter Showstopper?